Between June 22 and July 22, submit a video that is 30 seconds or less that highlights your passion for homebrewing and shows off your homebrew set. 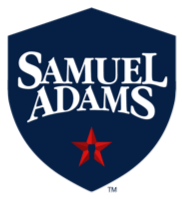 Five finalists will be selected by a panel of judges, and those finalists will send in a homebrew to be judged by a panel of Samuel Adams employees. The top three homebrewers will then take part in an interview for the grand prize. Let us help you make it come true. Enter for a chance to win a weeklong “Brewership” where you will work alongside our award-winning team of brewers in the nano brewery, 10-barrel brewhouse, and barrel room at our historic Brewery in Boston. You will also win a trip to the Great American Beer Festival and a scholarship to the Siebel Institute’s online brewing education program.